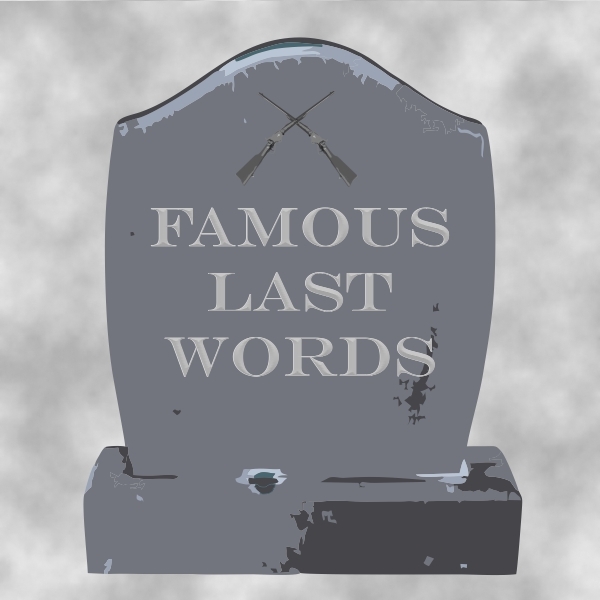 Bill Longley’s last words before he was hanged in 1878. Unlike Bill Longley, I see a great many friends. Of course, I haven't killed anyone... yet. But I have missed a few post dates which is why this is my last entry on the fourth (and usually last) Friday of the month. I'm moving to the second Friday. "They say I killed six or seven men for snoring. It ain't true. I only killed one man for snoring." Knowing me, I'll still be putting together my notes in the wee hours of the night when I should be snoring (if I was willing to admit that I did). But at least in the middle of the month, I won't be staying up to finish so many things at once. "Can't you hurry this up a bit? I hear they eat dinner in Hades at twelve sharp and I don't aim to be late." Black Jack Ketchum, just before he was hanged at Clayton, New Mexico on April 26, 1901. I hope if I do miss a day, no one will lose their head over it like Black Jack Ketchum. He really shouldn't have hurried the hangman. Due to a miscalculation, Ketchum fell so fast, his head was torn off. It had to be sewn back on for burial. Black Jack didn't deserve that. He was a robber, not a killer. 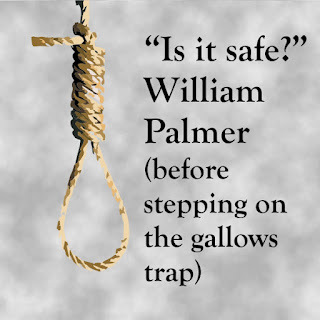 It was judged, too late, that his death sentence was unconstitutional. . . misjudged as well as miscalculated. 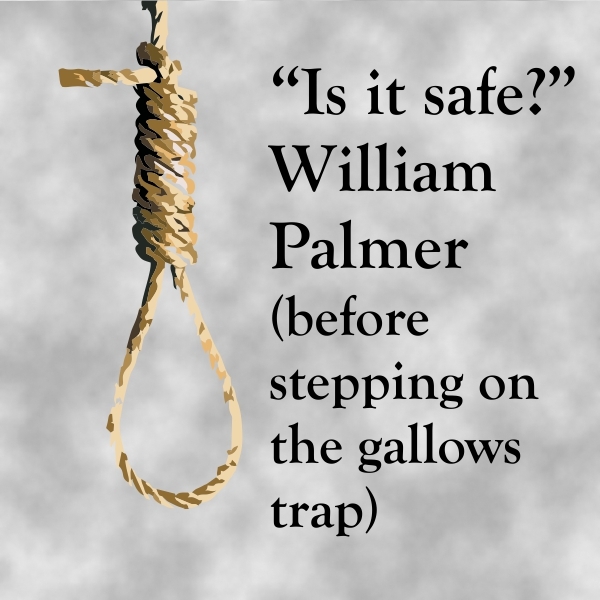 Under the circumstances, we can hardly blame convicted killer, William Palmer, for being cautious. Rumors flew through all the reservations in Dakota around September 1890, that in reprisal to the Ghost Dance, the government would take action. Of course, fear spread like wildfire, that the government would erase any future the Sioux had, so those 400 or so left of Sitting Bull's followers fled, seeking shelter and aide under Chief Big Foot at the Cheyenne River Reservation. Very few of the original number reached their destination because the remaining were intercepted and convinced to surrender to the authorities. Those who made it safely to Chief Big Foot found themselves trapped by the Cavalry, who didn't move to attack until they received orders. The fear the Lakota felt now spread to Big Foot's people and during the night on December 23, 1890, around 350 total, including the Chief, left the village. The soldiers, along with their small arms arsenal followed, and on December 28th, the renegades gave up and made camp at a place called Wounded Knee. When the army demanded the tribe surrender their weapons, the Indians refused and a scuffle ensued, What was a peaceful encampment turned into a nightmare. The Indians stood firm, but since the combatants were not equally armed, they didn't stand a chance. The proverbial 'heat of battle' led many of the cavalry on a killing spree, cutting down defenseless women, the babes in their arms and old men, women and children as they tried to flee. The death count: 25 soldiers (many killed by friendly fire.) 39 wounded. at least 153 Indians died, but some claim as many as 300. The military dead were buried with full honors, but a civilian crew was hired to dig a common grave and dump all the bodies of the deceased Indians into it. Quoting one civilian worker: "It was a thing to melt the heart of a man, if it was of stone, to see those little children, with their bodies shot to pieces, thrown naked into the pit." The massacre at Wounded Knee remains the day the Plains Indians' resistance ended, however, the slaughter serves as a symbol of how the whites treated those with red skin. Note from Ginger: I have paraphrased this from my favorite research source, America's Fascinating Indian Heritage from Reader's Digest. How sad that we learned nothing from this experience. This month I will profile Mike Fink - known as "King of the Keelboaters"
Mike Fink (c. 1770/1780 – c. 1823) was a semi-legendary brawler and river boatman who exemplified the tough and hard-drinking men who ran keelboats up and down the Ohio and Mississippi Rivers. He was born at Fort Pitt in present-day Pittsburgh, Pennsylvania and served as an Indian scout in his teens. Even as a teen, he was an unbeatable marksman, and he earned the name "Bangall" among militiamen at Fort Pitt. When the Indian wars of the region ended in the early 1790s, Fink, like many other scouts, spurned a sedentary life as a farmer. Instead, he drifted into the transport business on the Ohio and Mississippi—and quickly picked up a new nickname: "the Snapping Turtle." When he began his career in navigation, he became notorious, both for his practical jokes, and for his willingness to fight anyone who was not amused. His 180-pound frame stretched 6'3″ in height, and the muscles required to force a keelboat upstream would have made him a formidable opponent to most. It was said that he could drink a gallon of whisky and still shoot the tail off a pig at 90 paces; and Fink himself proclaimed on every possible occasion that he could "out-run, out-hop, out-jump, throw-down, drag out, and lick any man in the country." He and his friends were supposed to have amused themselves by shooting cups of whiskey from each other's heads. Other repeating episodes in Fink's legends include a tale where he shoots the scalp lock from the head of an Indian, and a story in which he shoots the protruding heel from the foot of an African-American slave with surgical precision. Hauled into court, he pointed out to a judge that his victim would never have been able to wear a fashionable boot if a good Samaritan, namely himself, had not intervened on the man's behalf. Besides imagined feats making part of the legend of Mike Fink, it may have also been woven from two (or more) men with the same name. Mike Fink signed up as one of Ashley's Hundred and formed a part of the band that built Fort Henry. If this man had been the one born at Fort Pitt about 1770, he would have been at least 50 years old. Such an advanced age in that group of men just out of their teens would have been remarked on. (Hugh Glass was called Old Hugh for being in his early 40s.) No journal mentions Fink's advanced age, so it may have been a younger Mike Fink who joined Ashley's group. 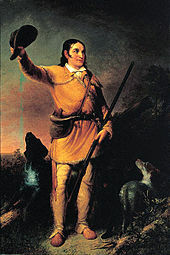 Davy Crockett is supposed to have described him as "half horse and half alligator." Fink wore a red feather in his cap to signal his defeat of every strong man up and down the river. Until next month, stay safe and happy reading. Why? Because Bit-O-Honey candy bars—I can only ever find the individual pieces—were one of the most popular candies in the 1920’s. Invented in 1924 by the Schutter-Johnson Company out of Chicago, the ‘candy bar’ was a ‘brick’ of six individual pieces wrapped together in wax paper and then covered with a candy bar wrapper. The long chewing honey-flavored taffy with its bits of almond quickly became a hit from coast to coast. The recipe for Bit-O-Honey candies has not changed over the years, but the company making them has a couple times. The last time was in 2013 when the Pearson’s Candy Company of St. Paul, Minnesota bought the brand. I was excited a couple of years ago when I found a bag of Bit-O-Honey candies because I hadn’t seen them in years, and I’ve kept them in my candy jar ever since. It’s amazing the amount of people who are thrilled when they see these little candies. The same thing happened at the signing today. The dish full of Bit-O-Honey candies certainly was a conversation starter! Other popular candy from the 1920’s includes Charleston Chews (named after the dance of course! ), the Baby Ruth candy bar (yes, named after the old grand-slammer himself, Babe Ruth), Slo Pokes, and Teaberry Chewing Gum. This is also the era that brought us Reese’s Peanut Butter Cups, Butterfingers, and Milk Duds. So, in other words, candy lovers have a lot to appreciate about the 20’s! 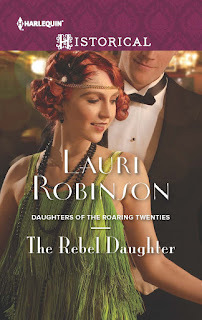 The Rebel Daughter, the next book in this series, will be released September 1st. No more watching from the sidelines for Twyla Nightingale: her feet are firmly on the dance floor! She won't let anyone sour the delicious taste of freedom—especially not Forrest Reynolds, back in town after all this time. …there's a guy who thinks she's the bee's knees. Forrest didn't expect a warm welcome from the Nightingale sisters, not after their lives had been so dramatically upturned. But seeing the challenge in Twyla's eyes, Forrest takes this rebel for a wild dance she won't forget! 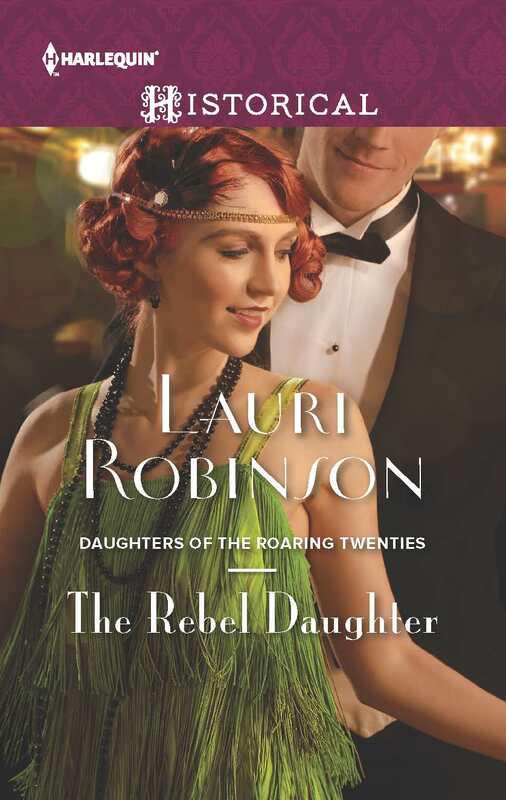 RT reviews had this to say about The Rebel Daughter--You’ll experience plenty of the Roaring ‘20s atmosphere in the second in Robinson’s series. This time, she’s added some wild adventures, a mystery and loads of sexual tension to the mix, keeping readers on their toes. They’ll eagerly await the next installment of the saga. As we near the end of summer, I've been thinking a lot about traveling. It's not too late yet to head out west and enjoy a bit of old-fashioned cowboy fun. And what better place for it than a "dude ranch". For history buffs, let me say that the word "dude" has quite an interesting meaning. It's been around since the days of "Yankee Doodle" who stuck a feather in his cap, as you might remember. Ever wonder why he called it "macaroni"? Well, just so you know, macaroni was the precursor to today's bling, and a "doodle" was a fellow who didn't keep up with the latest trends in fashion. Eventually, doodle turned to dood and soon both dood and its alternative spelling, dude, came to refer to any fellow who didn't have a clue -- such as those "city slickers" who thought they could run a ranch. 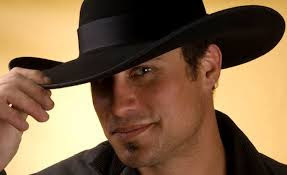 Now, of course, dude is used to refer to anyone of the male persuasion, and dude ranches are friendly places where anyone can saddle up, ride out on the trails, and find out what the ranching life is really all about. I've done quite a bit of browsing, looking for some of the best dude ranches in the west, and I've come up with information on how to plan a dude ranch vacation, what to expect, and how to make the most of the experience. The ranches I've checked out -- in Colorado, Montana, and Wyoming --- all provide many different activities to enjoy. In addition to food and lodging, you can take part in daily horseback rides, and on working ranches, you can actually ride out with the ranch hands and participate in their activities. For more "vacation" and less "work", most dude ranches also provide opportunities for fishing, trap-shooting, swimming, boating, rafting, and canoeing. 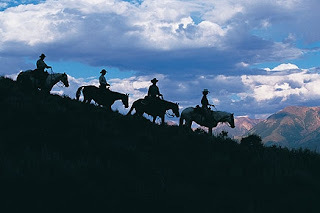 Many ranches offer special programs for guests as well as the daily routine activities. Children and teenagers can take part in special educational programs, and ranches sometimes also provide overnight camping expeditions, evening entertaining, and even real cattle round-ups. You'll want to plan on spending a week at a ranch, if possible. If you can't get away for an entire week, some ranches will arrange for shorter stays. Of course, every ranch is different, so you'll want to be sure you choose one that's right for you, for your family, and for your expectations. Rustic ranches are the least expensive to visit. These don't have fancy accommodations and luxury rooms, but are usually working ranches with traditional ranch amenities. If you're looking for a true "hands-on" experience, a rustic ranch would be ideal. Guest ranches are designed with a bit more comfort in mind. These cater to tourists and usually feature family programs, such as trail rides and family-friendly entertainment. Dude ranches also focus on kid-friendly, family-friendly activities, but with more luxury accommodations -- and for a higher price. If you're looking for comfort as you learn about "the ranch life", a top-of-the-line dude ranch will offer all you desire. 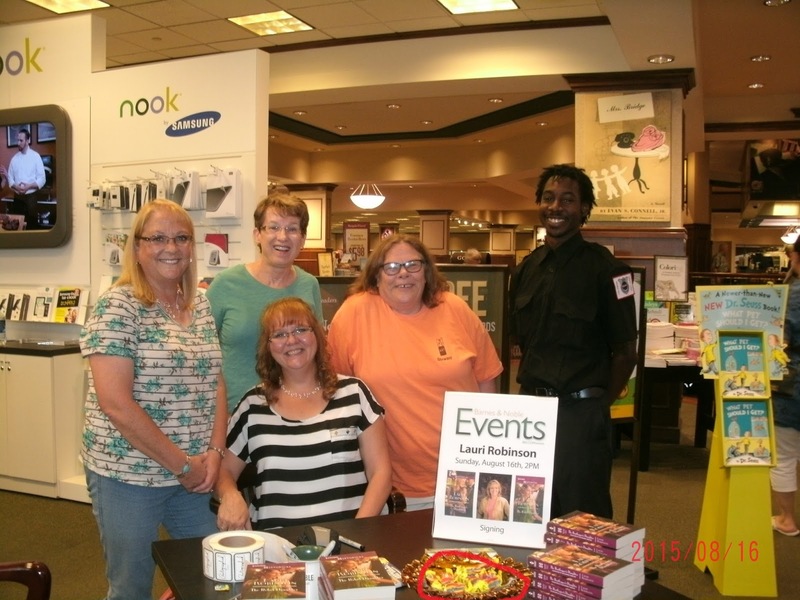 They cater to their guests and strive to make the experience as enjoyable as possible. Regardless of what type ranch you choose for a vacation, you'll want to consider the total number of guests it can handle. Smaller ranches will handle 10-12 vacationers; large ones might accommodate as many as 60-65 guests. You'll find hospitality a staple in all the old west ranches, but a different atmosphere from one to another. Before you embark on a dude ranch vacation, of course, you'll want to get first-hand information, browse the various locations, and see what most appeals to you. Are you looking for scenic views? Wanting a taste of old-fashioned life? Do you want to spend more time on horseback? Or do you want more time to explore and enjoy all the ranch has to offer? For an up-close look... check out this video from the Wyoming Dude Ranch Association. It’s so hot here in Texas and recently my air conditioner broke. It was 94 degrees in the house. I thought I was going to kill someone- it made me feel so cranky. I wondered how the pioneers did it. I started reading from this site http://www.america101.us/trail/Jumpingoff.html and it explains a lot but to me it all sounds impossible. They were certainly brave, hard-working people who made the trip west. The Missouri River heads due west from St. Louis; so most emigrants loaded their wagons onto steamships for the upstream journey. It was easy traveling, but it didn't last long. Two-hundred miles from St. Louis, the Missouri takes a cruel turn to the north. So the pioneers unloaded their wagons at any one of several small towns along the Missouri river which they called "jumping off" places. Independence was the first option. Further upstream was Westport, St. Joseph, Omaha and Council Bluffs. The economies of these frontier towns depended on emigrants passing through, so many hired agents to go east and badmouth the competing cities. "I have never in my life heard as many false statements as were told us in coming up here. We were frequently told that at least 15 to 20 cases of cholera were dying daily in St. Joseph". In reality, no one died of cholera in St. Joseph that year. Each spring these small hamlets became raucous boomtowns--as thousands of emigrants camped for days, or weeks while getting ready to begin the journey. Independence was by far the most popular point of departure in the Trail's early years. "A multitude of shops had sprung up to furnish emigrants with necessaries for the journey. The streets were thronged with men, horses and mules. There was an incessant hammering and banging from a dozen blacksmiths' sheds, where the heavy wagons were being repaired, and the horses and oxen shod. While I was in the town, a train of emigrant wagons from Illinois passed through--a multitude of healthy children's faces were peeking out from under the covers of the wagons." By mid April, the prairie outside Independence was packed with emigrant campers-- often over three square miles worth. It was so crowded, one emigrant spent four days just trying to find his friends. This entire mass of humanity was waiting for the grass to grow. Heading west too early meant the grass wouldn't be long enough for the animals to graze along the way--a mistake that could be fatal. "In procuring supplies for this journey, the emigrant should provide himself with, at least, 200 pounds of flour, 150 pounds of bacon; ten pounds of coffee; twenty pounds of sugar; and ten pounds of salt." A family of four would need over a thousand pounds of food to sustain them on the 2000 mile journey to Oregon. The only practical way to haul that much food was a wagon. Huge conestoga wagons were never used by the pioneers--they were just too unwieldy. Instead, the emigrants used small farm wagons. Although they appear simplistic, farm wagons of the 1840s were technologically-advanced vehicles. For example, the complex undercarriage centered around a kingpin, which allowed the front wheels to pivot, so the wagon could turn easily. And the front wheels are smaller than the ones in back--which also helped the wagons to round sharp corners. Even the width of the wheels was carefully calculated. Wide wheels were more effective in soft, sandy soil. Narrow wheels worked better on hard surfaces.The cotton covers were typically drawn shut at both ends to keep out the incessant dust. To keep out the rain, the covers were treated with linseed oil, but most eventually leaked anyway. The wagon box measured only four feet by ten feet. Most emigrants loaded them to the brim with food, farm implements and furniture--often over a ton of cargo. All this was supported by massive axles. If one broke, the travelers were in serious trouble. Without a spare, they would be forced to abandon their wagon or reconfigure it as a two-wheeled cart. Most wagons had several handy options: a toolbox on the side, a water barrel, and most importantly, hardwood brakes. By late April or early May the grass was long enough--and the journey began. When it was finally time to go, everyone wanted to get started at the same time--and the result was often a huge traffic jam. Even worse were greenhorns from cities back east, who had never before yoked an oxen or driven a mule team. They tipped their wagons, bumped into trees and couldn't even get their animals to go in the right direction. Only a few miles outside of Independence, nearly all the emigrants realized they had grossly overloaded their wagons. Their only choice--start throwing things out. The trail was so littered with this debris, that scavengers from the jumping off towns would collect full wagon loads of flour, bacon--even cast iron stoves. If you get a chance read more at this site- fascinating!! Finalist in the 2012 RONE Awards. Top Pick, Five Star Series from the Romance Review. Awards, and The Readers' Choice Award for Ryelee's Cowboy.